P&G's chief executive David Taylor has insisted the company has the "right plan in place" for continued growth, as it reported organic sales growth of 2% last year. Total sales were down marginally to $65.1bn (£49.7bn) for the financial year July 2016-June 2017, but this included a 2% negative impact from changing exchange rates. Health care was the strongest performing division, with sales up 2% to $7.5bn, while grooming saw the worst figures, down 3% to $6.6bn. Speaking on an investors’ call, Taylor said the stability of the business vindicated its sale of a large number of its brands in recent years, organisation changes to improve productivity, and a focus on "irresistible superiority" in product, packaging and advertising. "Superiority does not mean most expensive or premium, but delivering maximum value at every price point we choose to compete," Taylor said. "Product and pack benefits need to be communicated with exceptional brand messaging – advertising that makes you think, talk, laugh, cry, smile, act and of course buy." Among various examples of brands in the portfolio that had met his aim of driving success through superiority, Taylor pointed to Fairy, which he said had grown market share in the UK from 55% to 70% in the last decade, thanks to messaging focused on the washing-up liquid delivering a superior performance to own-label products. Fairy’s US counterpart, Dawn, increased its share from 40% to 50% in the same period. 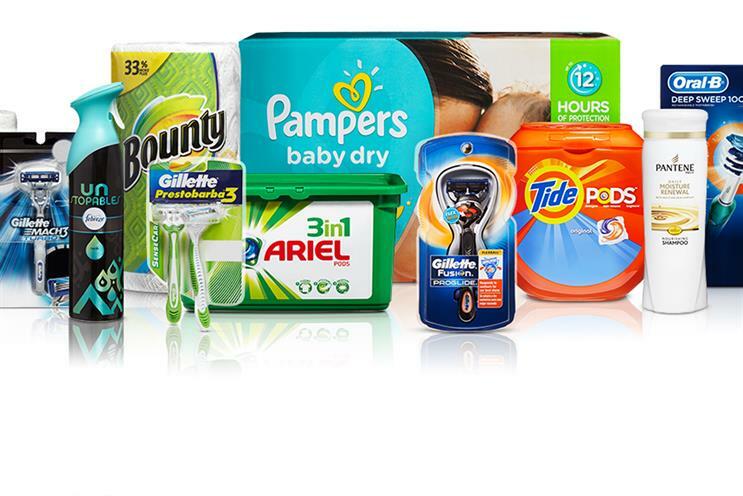 Ensuring P&G’s brands could be effectively positioned as superior required patience, Taylor said. "Establishing and extending product and packaging execution and value superiority represents a significant opportunity to accelerate top line growth. This will require investment to realise. "Given lower market growth rates, category commoditisation and retail industry transformation, should we pick a different path? We have made a clear choice of the long-term health off the business as the key priority. The short-term profit choice would be the wrong choice." Asked whether acquisitions were not a better route to growth than a focus on P&G’s largest brands, which include Always, Gillette and Oral-B, Taylor said. "It’s both. There’s no question in my mind we can accelerate growth on our core brands." Eight of the ten leading brands grew faster than the company average, he added. But Taylor also said that P&G, traditionally known for being focused inwards, was "accessing many more external ideas than before" by increasing its external hiring and seeking out opportunities in M&A, joint ventures and start-up investment. Also speaking on the call, vice-chairman and chief financial officer Jon Moeller outlined where the business would consider future acquisitions. "Categories that we really like are those where a product is used daily or even more than one time a day," Moeller said. "We want to be in categories where product superiority matters – where purchase motivation is driven by the ability of a product to meet a need in a demonstrable way." Thee brands that P&G had sold off in recent years, he said, were chosen in large part because "purchase intent was driven by something else – fashion, flavours, fragrance, self-image: all good things, but not up our power alley." Asked about the business’ approach to digital and ecommerce, Taylor said that it grown online sales to more than $3bn last year, which was larger than its top three competitors combined. He said that while the "low barrier to entry and the number of brands that come at you" online presented a "big threat" to P&G, the space also offered advantages for brands that could establish themselves as leaders. "If anything online, consumers look at less brands. When you go to anyone of the online opp sources, you’ll probably look at page one, maybe page two. And strong brands tend to occupy the majority of page one and page two, so I think we’re well positioned in brands that are meaningfully better." Asked about the potential of direct-to-consumer as a sales channel, Taylor said: "We are testing and will continue to test a number of models, including a company store, including working with omni-retailers and pure plays. "But our belief so far, is that most consumers do not want to have a lot more accounts for narrow parts of their daily or monthly needs, so an aggregator is probably is better positioned to serve the consumer."